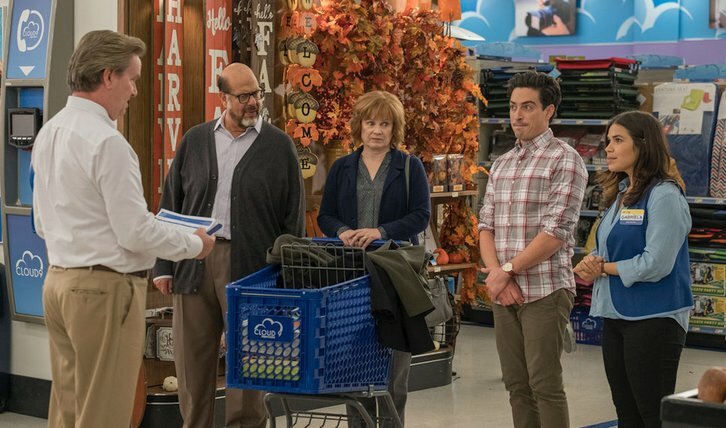 11/15/2018 (08:00PM - 08:30PM) (Thursday) : When a new Cloud 9 initiative forces employees to be friendlier to their customers, Amy (America Ferrera) ends up getting to know Jonah’s (Ben Feldman) parents – and learns he hasn’t been completely truthful with them. The new policy also inspires Garrett (Colton Dunn) and Dina (Lauren Ash) to find out who can hold a smile longer. Also starring Mark McKinney, Nico Santos and Nichole Bloom. Guest starring Fred Melamed and Meagen Fay.